After two fantastic nights at Pilgrimage Village, I was next off to their sister resort in nearby Phu Loc which lies between Hue and Hoi An. I spent four incredible nights at Vedana Lagoon Resort and Spa which was – I kid you not, the resort of my dreams. 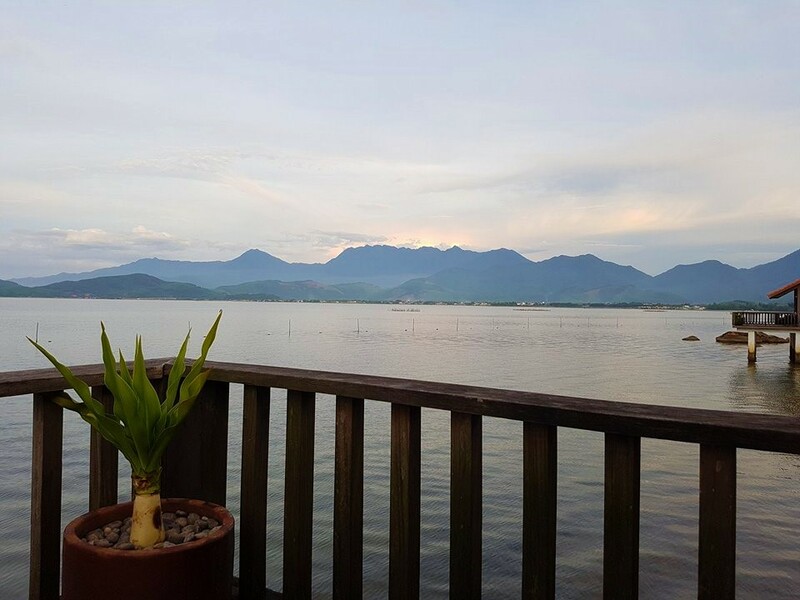 It is nestled on the shore of a peaceful and serene lagoon, which is one of the largest in Southeast Asia. They have the very first overwater villas in Vietnam, which I felt so lucky and grateful to be able to experience. The best part was my husband flew all the way from Australia to meet me for a two week holiday so we got to enjoy it together! The complimentary shuttle ride from Pilgrimage Village was very convenient and quick; only a 45 minute drive away. Hopping out of the van I was instantly greeted and had my luggage taken for me as I walked up the steps into the large and modernly designed reception area. 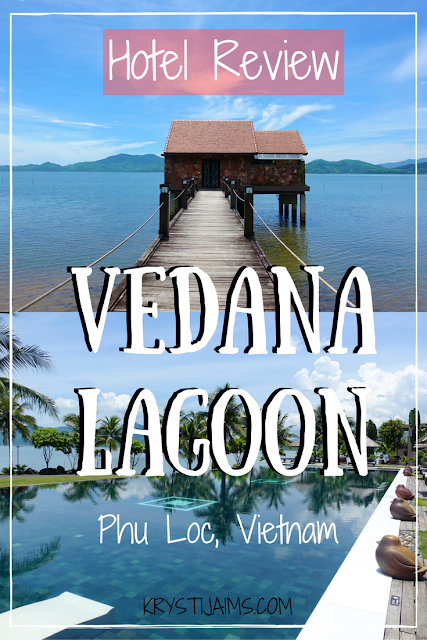 From the moment I arrived at Vedana Lagoon, I could not wipe the smile off my face. This place was absolutely stunning! 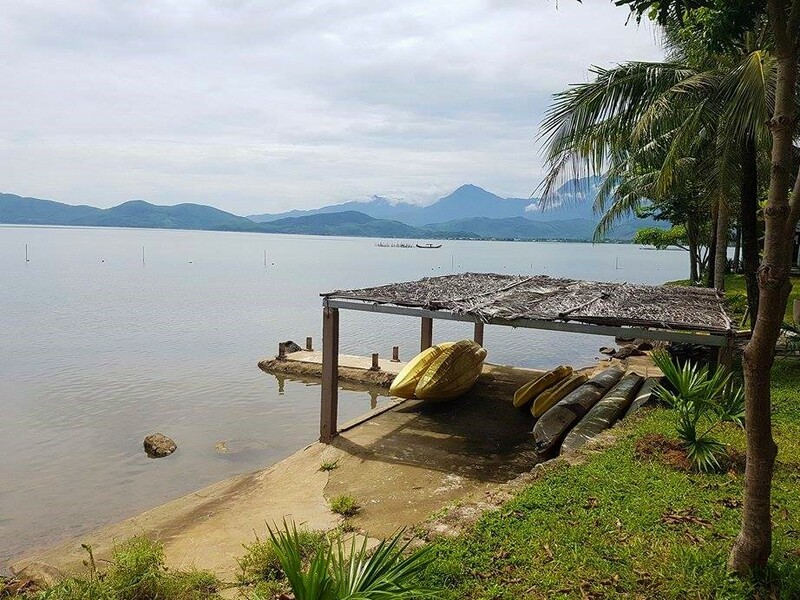 The secluded location set in front of serene waters surrounded by mountains and tropical palm trees was eye-poppingly beautiful. It was such a balmy place and had wonderful relaxing vibes. I was warmly welcomed, shown to a nearby seat and presented with a tasty refreshing drink and cool towel. 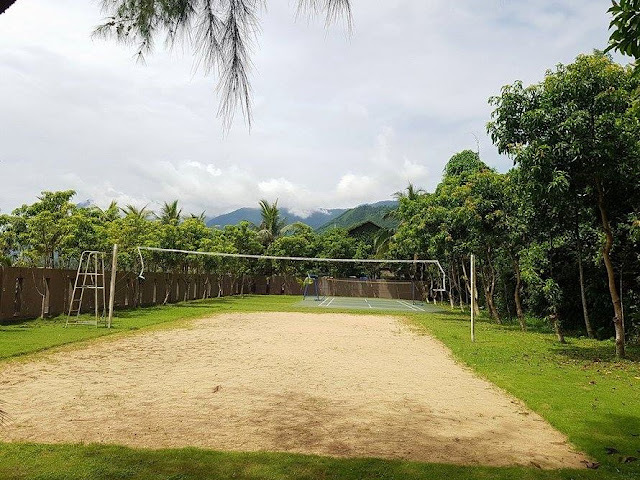 The check in process was seamless and I was informed of all of the onsite facilities, daily activities and free shuttle bus times to Hue and a nearby popular beach. I was then transported via a buggy and taken to my room – which turned out to be an amazing surprise. 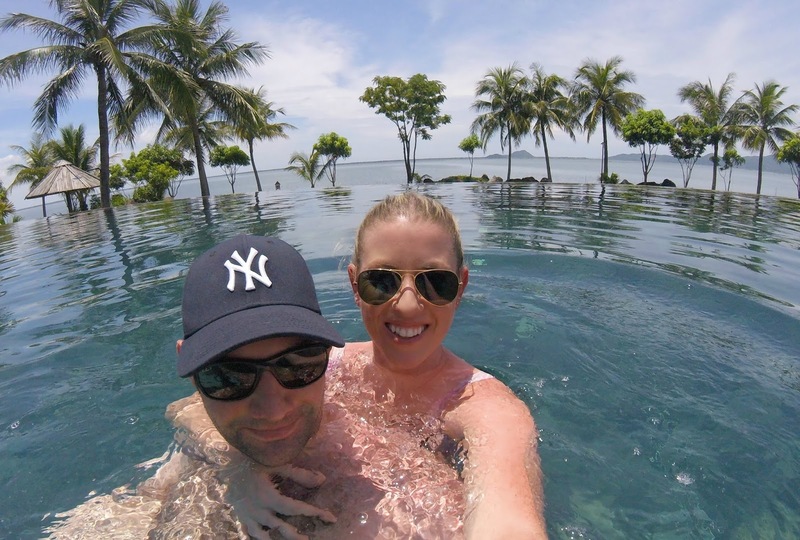 I was so incredibly lucky to be upgraded to an Overwater Bungalow – I have always dreamed of staying in a room like this! Not only that but there is only one that has a glass-bottomed floor, and guess who got it? Me! I was very spoilt indeed. Opening the door to my room I was instantly blown away, it was incredibly luxurious. I was given a tour and then left to marvel and enjoy. I was so surprised by how large it was. The villa was 130 square metres with a very spacious bedroom and separate bathroom area. The super king sized bed was a central feature of the room, raised on a modern wood stage. To the front of it was the amazing glass floor to see right through to the water below! A mesmerising feature that I couldn’t take my eyes off of. To the left side of the bed was a comfortable built-in couch with colourful cushions. In the left corner of the room set atop a small fireplace was an LCD television with satellite channels and a DVD player. In the right corner was a wooden desk with complimentary bottled water and a fruit platter that was changed daily. Behind the bed, on the left and right are two large wardrobes. In the left was a small fridge and mini bar that was well-equipped including a selection of international wines and spirits. There was also complimentary tea and coffee, a little pot and glassware. The right wardrobe held a safe, soft silky robes and flip flops. Through the right-hand door was the enormous bathroom which had an amazing deep bath set right in front of the window looking out over the lagoon. The long counter had his and hers sinks with large mirrors and many good quality toiletries, there were even proper toothbrush holders! Also in the bathroom was another large desk area set in front of a large mirror. My husband always sleeps in so I enjoyed being able to come in there in the mornings and sit at the desk on my laptop to work. Through a connecting door was a gorgeous separate outdoor bathroom area with a rain shower and toilet around the corner. The shampoo, conditioner and soap were amazing quality, I really enjoyed using them. Probably the best part of the villa was the amazing view whether you looked left, right or straight ahead. Through the sliding doors leading out to the large balcony, was the best place to enjoy it from the table and chairs or comfortable round day bed. Other features of the room included excellent Wifi and air conditioning, 24-hour room service, daily housekeeping, laundry service available, unlimited free bottled water and a nightly turndown service. As well as the captivating and tranquil view, I especially loved how spacious, artfully decorated and cosy the room was. The bed was extremely comfortable and it was very quiet being so far from anyone else, so the sleep quality was excellent. 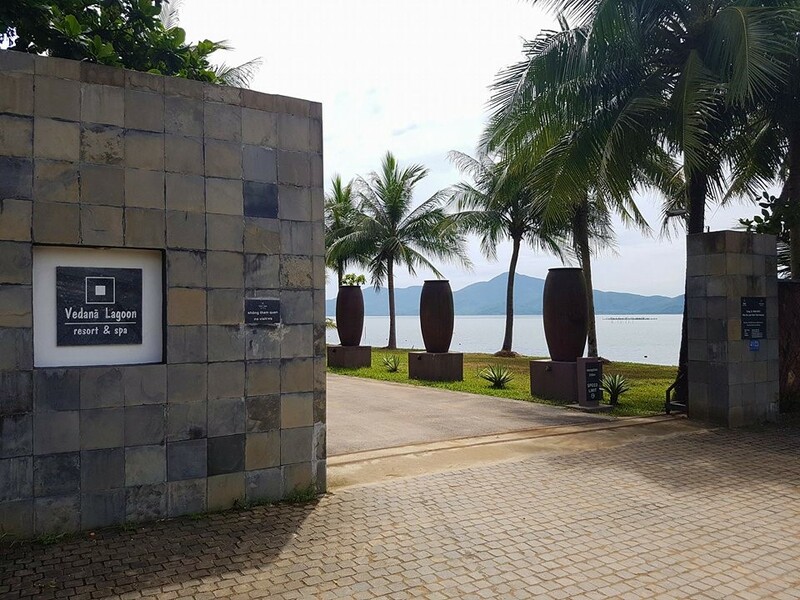 There are a range of other types of rooms available as well including Waterfront Deluxe, Pool Honeymoon Villa and Family Lagoon View. 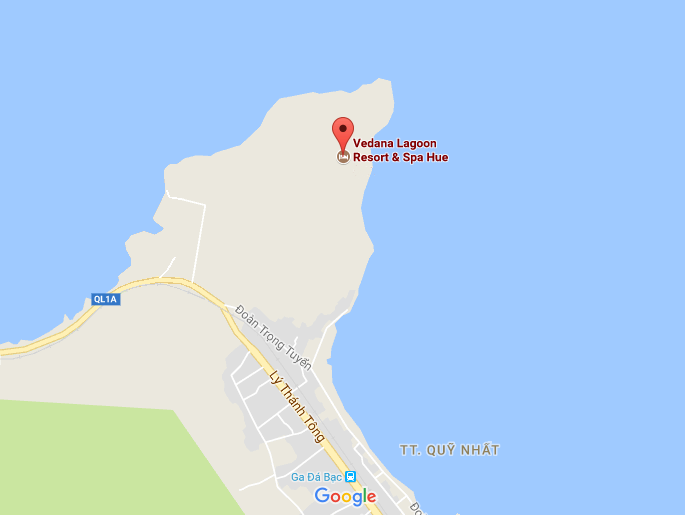 Vedana Lagoon is a resort that has it all; so you don’t ever have to leave if you don’t want to. There is an incredible infinity pool overlooking the lagoon that is enormous and ultra relaxing. There are plenty of loungers and day beds around the pool to relax on under shady umbrellas. One thing I did miss was a happy hour or drink specials. That is definitely something my husband and I usually take advantage of. The Vedana Wellness & Spa is absolute perfection. Located in an overwater bungalow itself, you simply cannot beat the views or tranquility! They aim to bring you “an experience of spa life which we define as LUSH. (Luxurious. Unpretentious. Sustainable. Healthy)”. 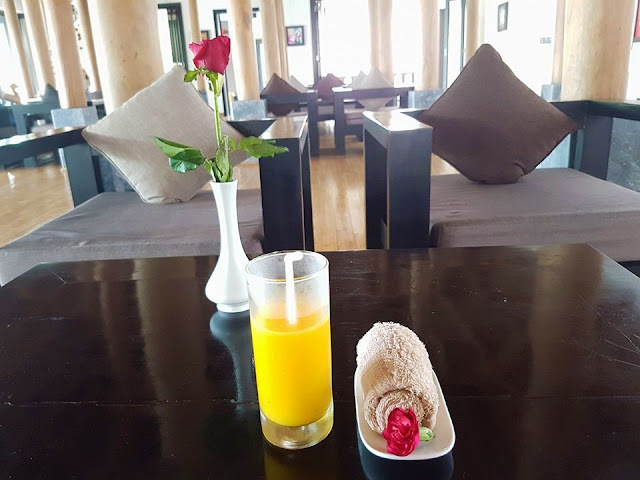 They offer many treatments to indulge in such as lovers romantic packages (for two people), massages, body treatments including scrubs and wraps, facials, wellness, nail and hair care. You certainly couldn’t beat a pamper session with those views and ambient surroundings! The Jacuzzi, sauna and herbal steam room is also available for guests to enjoy before or after treatments. Also near the spa they offer daily complimentary wellness activities including Yoga and Taichi in the mornings. Closer to the entrance and reception area are plenty of other great activities to keep you busy if you choose. There are tennis, volleyball and badminton courts for a bit of sporty fun. There is a gym with a view for guests to use with a variety of exercise machines and equipment. For the young or young at heart there is a games room with a pool table and foozball games. There is also a baby room, movie room, a library, conference room, cooking classroom – Vedana Lagoon really has it all. There are even kayaks to use at your leisure to enjoy the beautiful lagoon. One of my favourite things about the resort was getting around by bicycle! Each room comes with your own set of two and I loved cycling around the lagoon to breakfast in the mornings and the pool in the afternoons. I hadn’t cycled for years so it was really fun for me. If you don’t like to cycle you can easily call up and get a buggy straight to your door to take you around. 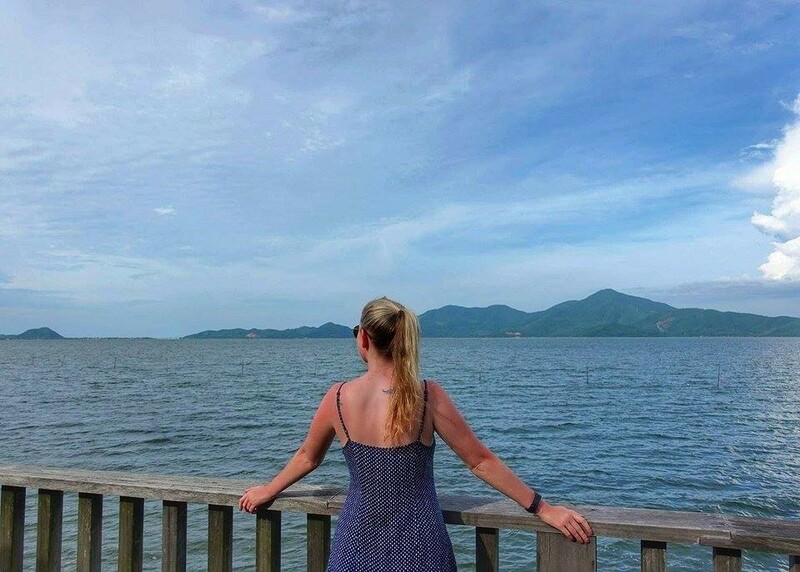 As well as having a complimentary daily shuttle bus to Hue and a beach they can easily book and organise tours and airport transfers. We personally used this and pre-booked a pickup for Gareth from Danang Airport to Vedana Lagoon and it was an excellent and convenient service. They have wedding and honeymoon packages and can cater for onsite meetings and events. There is of course also the lovely onsite Lantern House, Piano Bar and Horizon Restaurant where we ate at every night, this is also where breakfast is served daily. A daily buffet breakfast is included in the room and had a very impressive selection of local and international choices. You could have eggs made to order, Pho noodle soup, there was a large range of hot and cold dishes, fresh pastries and bread, fruit, yogurt, cereals and juices. The coffee was superb and you could choose from Vietnamese or American. Everything was very fresh, good quality and tasty, I very much enjoyed my breakfast every day! The Horizon Restaurant’s menu was a good mixture of European, Vietnamese and local specialties. We enjoyed trying many dishes and eating different things every night. The waiters were always helpful in recommending dishes if we weren’t sure. Our favourite was a seafood and mixed meat hotpot that we shared and really enjoyed. One of the days for lunch we ordered room service which was excellent. We loved the convenience and being able to eat and enjoy the beautiful view from our balcony. There is an overwater platform where the resort can set up romantic sunset dinners for a special occasion. They offer delicious set menus and can arrange candles and live music which would be an unforgettable memory. Reviews: 4.5/5 stars on Trip Advisor from 655 reviews and a 2017 Traveler’s Choice Winner. Price: Starts at $120 USD for a Waterfront Deluxe Room, depending on the season. I absolutely loved my stay here and wished I didn’t ever have to leave! It was such a magical experience staying in an overwater bungalow with some of the best views I’ve ever laid my eyes on. It truly looked like a painting. The staff are incredibly warm, generous and friendly. Any minor request was taken care of straight away, the service was impeccable. Cycling around the resort you were happily greeted by everyone, even the lovely gardeners. As it is quite a secluded resort this is a wonderful retreat to refresh, rejuvenate and relax. It is the perfect place for couples, families and groups of friends for a special occasion or luxurious getaway. It is the most tranquil and peaceful place I have ever had the pleasure of staying at and I loved every minute of it. 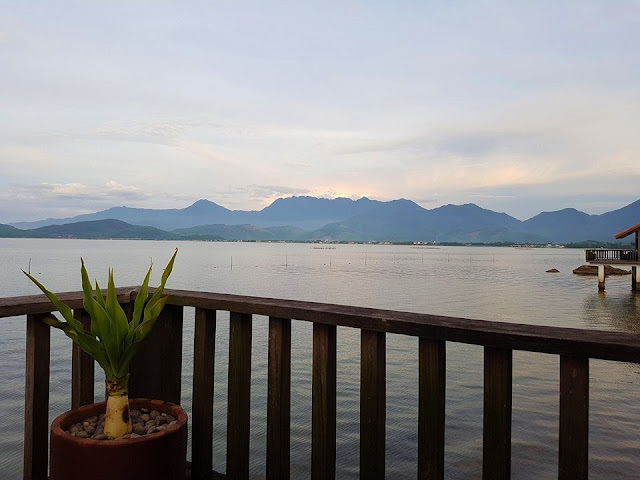 As someone who is attracted to water, Vedana Lagoon was a picture-perfect place that I can still hardly believe exists! 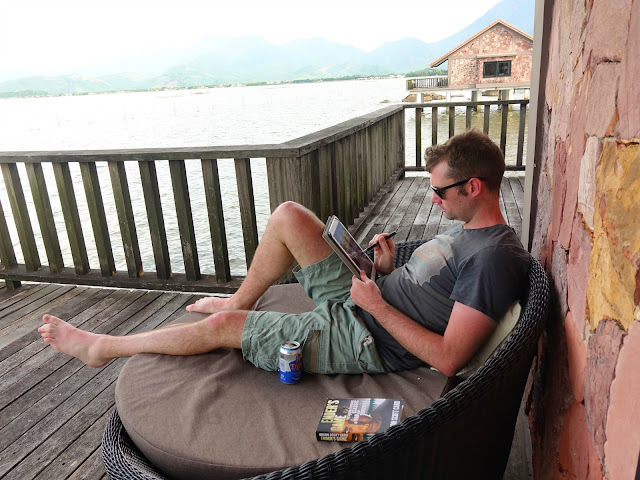 It was a real treat to stay there and I highly recommend it to anyone visiting central Vietnam, it is such a gem and one not to be missed! Disclaimer: One night was complimentary and the others discounted in exchange for an honest review. All opinions as always are my own.